HOW WE WORK. . . The Chicago Diamond and Jewelry Exchange (CHIDEXX) is a diamond brokerage house whose main objective is to offer the educated consumer the diamond of their choosing for true cost, and with very low brokerage fees. By working with our thousands of network diamond site holders, manufacturers and distributors, we are able to meet this expectation by carrying absolutely no inventory. Brokerage Fees start very low at $350. Online commerce has sparked a brand new wave of internet retailers, and the diamond industry is no different. Before you buy a diamond, you need to be aware of internet myths. CHIDEXX encourages it customers to shop for their diamond options, educate themselves, and then call The Chicago Diamond and Jewelry Exchange. After you looked, we will then acquire the diamond of your choice, or a close match. We will then invite you to our brokerage house to execute your purchase for you. Of course, CHIDEXX also provides a full line of semi-mount gold, diamond and platinum settings as well as customer design services for your diamond. HOW CAN WE REALLY DO THIS?? We own no inventory, thus we don't own the actual costs, overhead and liability associated with carrying inventory. The Chicago Diamond and Jewelry Exchange (CHIDEXX) was founded as an advocacy outlet for consumers who realize that diamonds, like wheat, pork, and gold, are commodities that are driven by market forces. CHIDEXX now takes advocacy to the next level with our new Chicago diamond broker program. Our gemological experts have over 100 years of combined experience with diamond history, grading, and industry knowledge. All of our local Chicago diamond brokers (in Chicago Jewelers Row) are expert brokers in their fields. 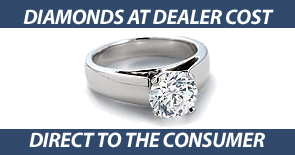 Our sole purpose is to advocate on your behalf, helping you to purchase a diamond that fits your exact needs. A diamond is one of the largest purchases you will ever commit to in your life. Our goal is insuring that, when you purchase a diamond, you will have all the resources necessary to purchase your diamond for the lowest cost available. 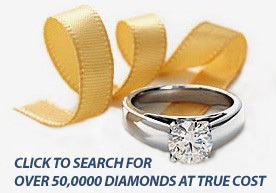 The Chicago Diamond and Jewelry Exchange only offers diamonds at true cost. True cost refers to the cost that a wholesaler, dealer, or retailer (fine jewelry store) would pay a diamond site holder or another wholesaler or importer for the diamond. This is the absolute lowest price that any consumer could hope to pay for a loose diamond. Our mission: We are Chicago diamond brokers that will facilitate your diamond purchase for cost.diamonds at true cost... period! This is a new, revolutionary way to approach the diamond purchase. Whether you require professional design services or help with diamond education or choices, CHIDEXX also maintains a "brink and mortar" store presence in Chicago that provides a full line of fine designer jewelry as well as custom design services. Our design team offers non brokerage customers full service for their diamond buying experience at more than competitive pricing. As well, our store front services all CHIDEXX customers for life with all Jewelry services and carries a full line of distinctive designer jewelry.